Outfit yourself with high-quality soccer practice jerseys from soccerloco and head out on the field with improved comfort and performance this season. Choose from our huge selection - we’ve got the latest training tops from the club, league and national levels, all at great, discounted prices. With brands like Nike, adidas, Puma, and Under Armour, you know you’re getting quality you can count on. We also offer fast, flat-rate shipping and a no-hassle refund policy to guarantee you’ll be happy with your order. Whether you’re supporting your favorite club from the stands or getting in some practice with your friends, these soccer training jerseys will have you looking and playing your best this season. 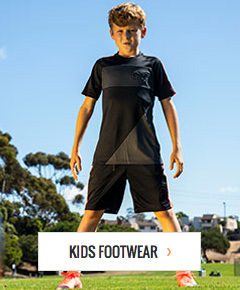 Shop soccerloco for all your soccer gear and save!